Android Boot Screen for Windows 7 will change your Windows 7 Boot Screen with a Android like animation. 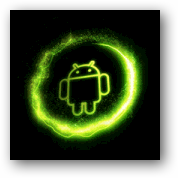 Android Boot Screen is developed by ghoster76. It is a 7Z download, 7.0 MB in size. Use Windows 7 Boot Updater. Note: This is an extreme customization. A single error can corrupt the installation. So keep your Windows 7 bootable media (DVD/USB) ready. Emulate Mac OS X features on Windows 7 with MacGadger like Volume Bezel and lots of more nifty stuffs like CD/DVD Ejection Control,Hardware Notification & more. Cite this article as: Abhishek Ghosh, "Android Boot Screen for Windows 7," in The Customize Windows, August 7, 2011, April 21, 2019, https://thecustomizewindows.com/2011/08/android-boot-screen-for-windows-7-1/.